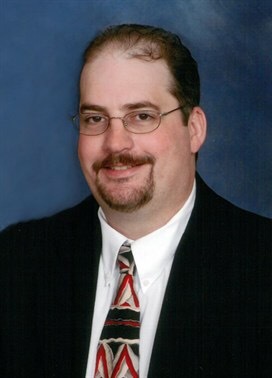 CHARLES CITY — Rodney “Rod” Mulcahy J.D., 45, of Charles City, passed away Monday, May 22, 2017, in Charles City, Iowa. A funeral service for Rod will be held 10:30 a.m. Saturday, May 27, 2017, at Trinity United Methodist Church in Charles City with Pastor Jim Beranek officiating. A private family inurnment will take place at a later date. A gathering of family and friends will be held from 5- 7 p.m. on Friday, May 26, 2017, at Hauser Funeral Home and one hour before the service at the church on Saturday. Rodney “Rod” Eric Mulcahy was born April 3, 1972 to Roger and Judith (St. Clair) Mulcahy in Charles City, Iowa. Rod graduated from Charles City High School. He went on to earn his Bachelor of Arts from Iowa State University. While at Iowa State he fought on the ISU Tae Kwon Do team; eventually earning a 3rd degree black belt. Rod then attended Oklahoma City University School of Law where he attained his Juris Doctor degree. Rod returned to Charles City after graduation to intern for Normand Klemesrud. After finishing his internship, he began work at Eggert, Erb, Frye and Vonah in Charles City. Shortly after, he became a partner, and continued working for the same firm, now known as: Eggert, Erb, Mulcahy and Kuehner P.L.L.C. On November 24, 2003 Rod married Jeanette Bohner in Las Vegas, Nevada, and his family grew to include his daughter Paige. As an attorney, Rod was involved with several committees including the Judicial Nomination Committee and the Iowa Bar Association, among many others. In his free time Rod enjoyed fast cars and bikes, practicing Tae Kwon Do, golfing, skiing, skydiving, and scuba diving. He is survived by his wife Jeanette and daughter Paige both of Charles City; parents: Roger and Judith Mulcahy of Charles City; brother: Robert Mulcahy of Williamsburg, Virginia; parents-in-law: Larry and Hui Cha “Peggy” Bohner of Charles City; brother-in-law: Kevin Bohner; and numerous aunts, uncles, cousins and friends. Rod was preceded in death by both paternal and maternal grandparents and numerous aunts and uncles. Hauser Funeral Home is handling arrangements. This entry was posted in Obituaries and tagged Rodney "Rod" Mulcahy J.D.. Bookmark the permalink.